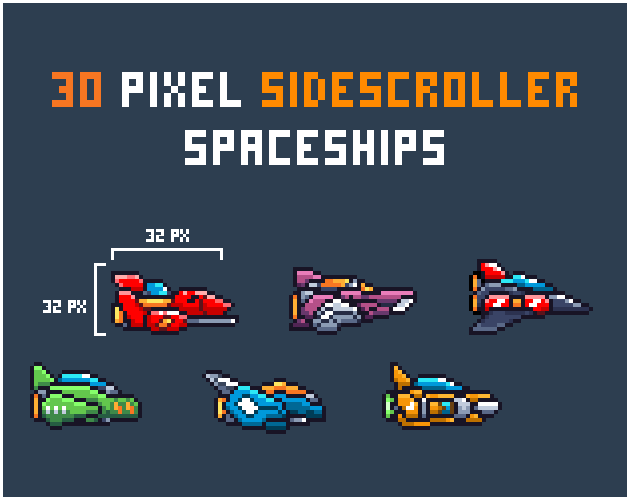 For the past couple of weeks I’ve been working on Pixel SideScroller Spaceships and it’s now available on itch.io. This sprite pack contains 30 unique ships, divided into 6 different colors. Other sites (like GameDevMarket and Scirra Store) will take some time since they need to go through a review process. Will update this post when they are available there. My Own Take on Bowsette. Meet Yoshiette!